I loved everything about this shoot: the beautiful house, Ashly’s super cute daughter London, the chubby pugs that tried to sneak their way into every shot, and of course, Ashly’s million dollar smile. We shot this on location in April 2018, shortly after I had moved into my studio and was getting in a groove, but it’s always nice to shake things up a bit. I never want to get too comfortable as a photographer and videographer. Shooting in one place with the same style and the same clients makes my work feel flat. But traveling to someone’s home or rented space makes me excited for the challenge. Thankfully we had such a gorgeous backdrop at her mother-in-law’s house. 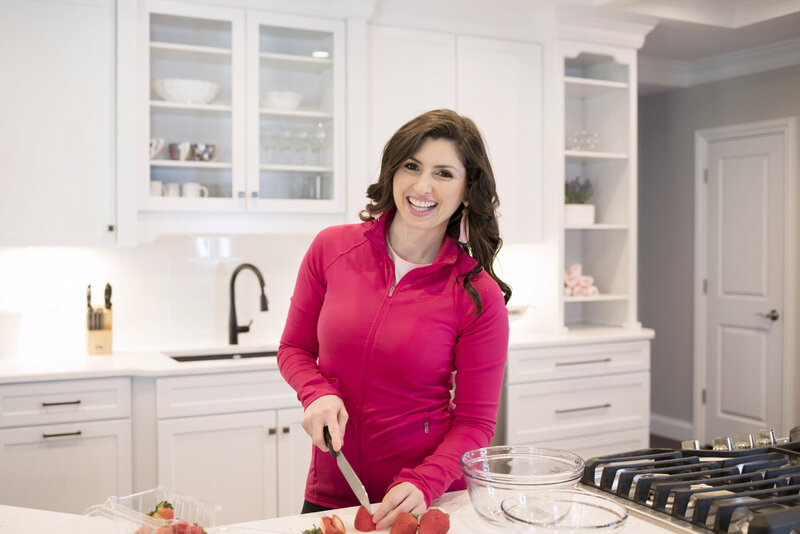 Ashly is a very successful health + fitness lifestyle coach who helps her clients lose weight and maintain by eating right and working out, but with a snarky attitude that I cannot get enough of! 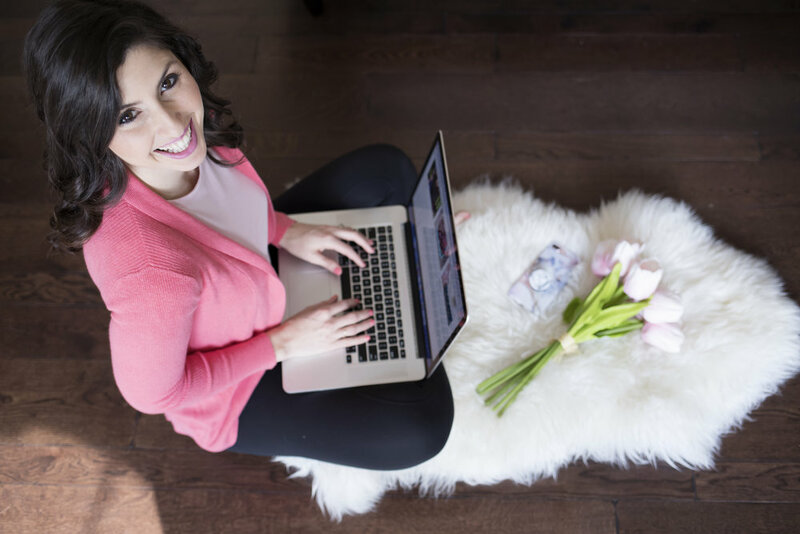 She tells it like is - the good, the bad, and the ugly of being a work-at-home mom who is trying to be healthy and active when honestly it doesn’t come natural to her. She is seriously hilarious - check out her Instagram Stories! 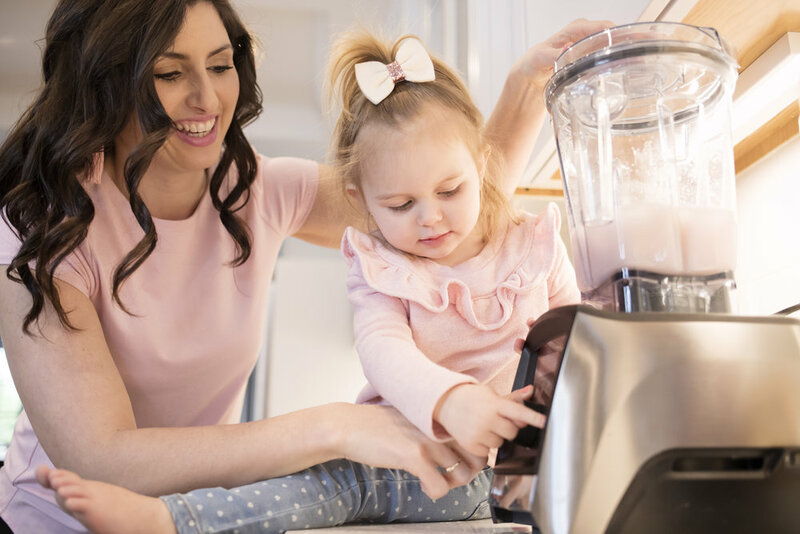 Ashly’s love for her daughter London is apparent and it’s so cute and refreshing to see her take such an interest in Mommy’s healthy superfoods shake. It’s wonderful to see Ashly setting a good example of what a healthy lifestyle means to her and hoping London learns by seeing/doing. She and her husband Sean will be welcoming a baby boy in 2019 and I can’t wait to see how things shake out as a mom of two, growing her business and raising her babies.